Whether you are a homeowner, a business owner, or a renter, it is important to be able to trust the plumber you choose to work with. 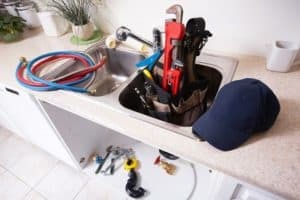 If you do not have a plumber you can trust, you will not have someone in mind to contact when there is a plumbing emergency in your Haltom City home or business. You may also defer some of your maintenance or put off repairs that are needed, simply because you are not sure who to reach out to in order to get those things completed. You could end up choosing someone who doesn’t do quality work, or someone who will overcharge. Instead of taking that risk with your Haltom City property, it is better to have a trusted relationship with a plumbing company that can meet your residential or commercial needs. HEB Plumbing & Sprinkler-Kathlyn Smith is proud to work in the Haltom City area and has been in business for more than 35 years. We deliver the quality you have come to expect from companies that value their business relationships with clients and the community. There is no plumbing problem too big or too small for HEB Plumbing & Sprinkler, whether you own, rent, or are running a business in Haltom City and the surrounding area. You can get a quote and have the needed work done in a fast, professional manner. We are a locally owned company and do not pass your hard-earned money along to contractors who aren’t even local to your area. Instead, you can have confidence that you are working with a company that is invested in the community around it, where so many of its employees live and raise their families. HEB Plumbing & Sprinkler also understands the common plumbing problems that appear in Haltom City, so you can be comfortable with the plumbing knowledge the company has. That helps you feel better about any plumbing problems, knowing the work will be done right the first time. 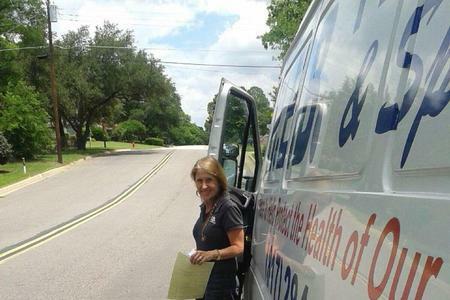 Business, homeowners, and tenants can all work with HEB Plumbing & Sprinkler to have their Haltom City plumbing issues handled the right way and get their questions answered. No matter the plumbing issue you have, HEB Plumbing & Sprinkler is ready to help. 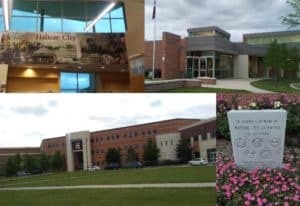 There are a wide variety of services to choose from to ensure your Haltom City plumbing problems are handled in a fast, professional manner. For any type of indoor and outdoor plumbing repair, HEB Plumbing & Sprinkler is ready to meet your needs. Reach out to HEB Plumbing & Sprinkler today to schedule an appointment today. Thank you so much for your 5 Star review. We are very happy you were please with our service. We appreciate your business! Fast response, nice repair job. Thank you, Sir. We appreciate the opportunity to serve you.